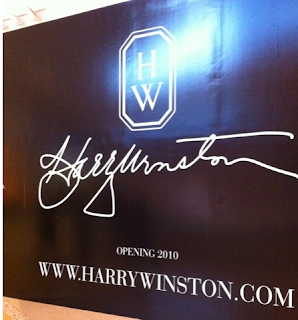 Las Vegas Blog: Steve Friess' VEGAS HAPPENS HERE: But *Didn't* CityCenter Open All At Once? CityCenter, a nearly $9-billion project, opened in phases, which wasn't conducive to highlighting its electric ambience. "It's hard to display that imagery when you're not open," [MGM Resorts CEO Jim] Murren said. "You can't show a commercial of a construction site and say, 'This is exciting. Come see us.' "
Huh? CityCenter did NOT open in phases, unless you define "phases" as the distance betweee Dec. 1 and Dec. 16, 2009. By mid December last year, all the public spaces -- that is, Vdara, Crystals, Aria and Mandarin Oriental -- were operational. There is nothing major that has opened at Aria unless you count the "grand" opening of Viva Elvis. True, Harmon wasn't open and likely never will be, so Murren can give up on whatever hope he has for that "imagery" helping to create excitement. And Veer was externally finished and lit up. It's a condo tower, so it's not supposed to contribute to the tourist's experience, remember? Tourists are only ever expected to see it from the outside. Maybe he thinks the fact that a few yet-to-open shops at Crystals will provide that jumpstart for the enterprise? Really? 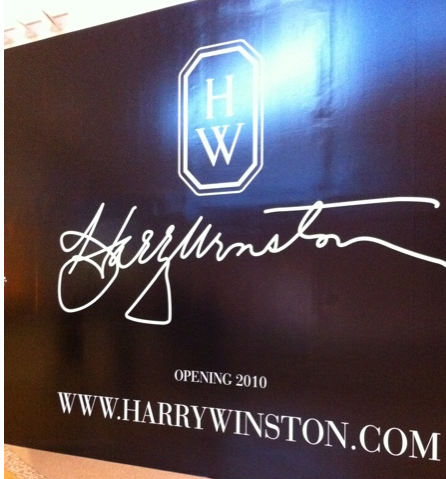 That long-overdue Harry Winston, which was to open a week ago but didn't, is so exciting! Yes! That's it! That's what's been missing! What's more, Murren went on and on to anyone who would listen last year -- except for L.A. Times contributor Jay Jones, I guess -- about how CityCenter was different BECAUSE IT WASN'T OPENING IN PHASES. He specifically talked about how that's what made this something other and better and greater than how Wynn, Venetian and even Bellagio added towers after their debuts. How nice of Jones to hold the CEO accountable for literally uttering the precisely opposite thing he said last year. Nicely played, Mr. Murren. "We could have, of course, filled up Aria right from the beginning if we had discounted [rooms] to a point where we could stimulate demand that way," Murren said. "But that would have been unfair to the brand." Alas, you sure did discount the rooms to a point that devalued the brand -- and gave away all sorts of nifty deals. You said Aria would compete with Wynncore, Bellagio and Venazzo. It does not. Had you tried to price Aria at those levels, your occupancy would not have creeped into the 80% range in the third quarter. These are bizarre statements. What a shame nobody at an esteemed newspaper like the L.A. Times would bother to point out the contradictions. Wow, I didn't know Steve Jobs loaned out his Reality Distortion Field generator to other people. You know with the fountains in front of the Bellagio drawing so many people - the front of the Bellagio itself would be an ideal billboard. Part of me was scared to type this since Murren & Co. may actually think this is a good idea.